A bit of radio silence yesterday,sorry about that, but rest assured it wasn't without good reason. The reason that I didn't post yesterday is because I am currently on holiday. That's right a holiday. I dug out the old dictionary, looked up the concept of a holiday and decided to give it a crack this weekend with the family. The holiday is only a short one, a few days away with everyone, but I am counting it as a holiday all the same. 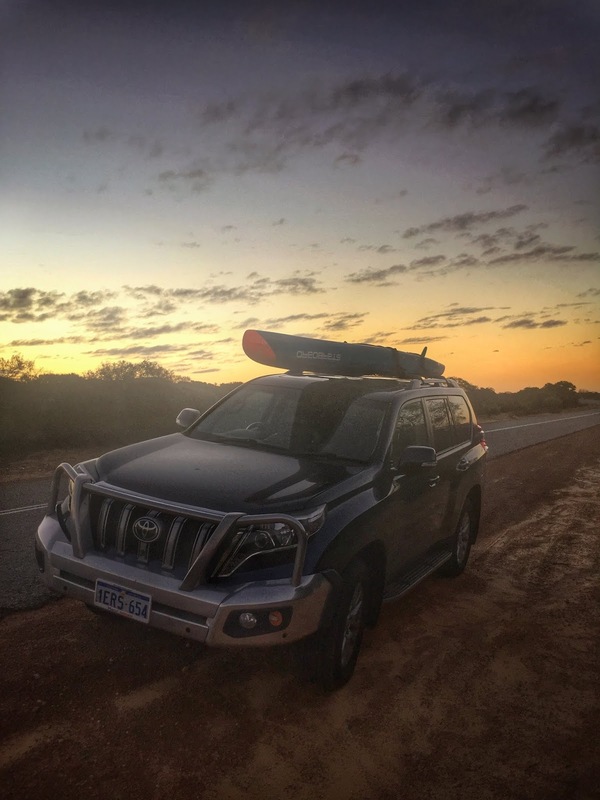 For our little trip away he have taken a road trip up to Kalbarri, about 6 hours drive North of Perth. Why Kalbarri? Well like most good holidays we came up here for a race, but we also thought we would come up because we haven't been here for years. 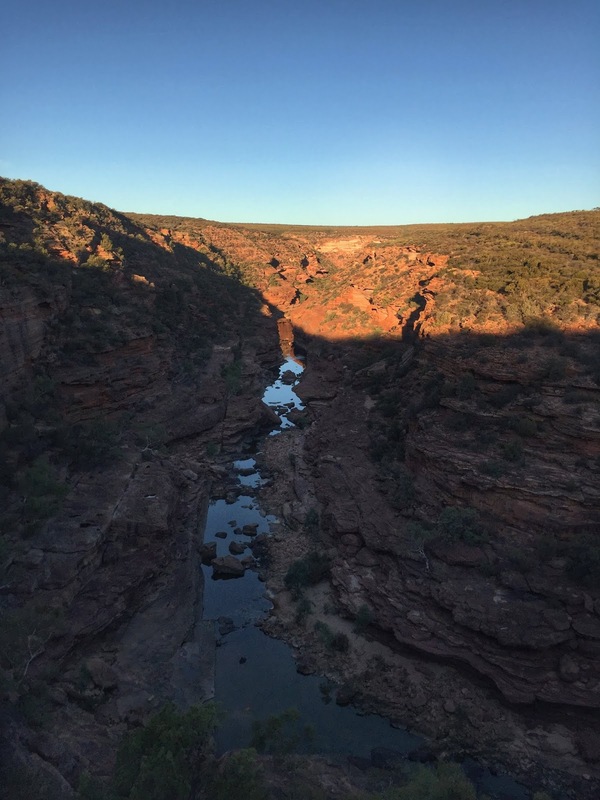 Our last visit here didn't leave us hungering for more and we felt it was probably time to give Kalbarri another crack, so here we are. Besides having a race, Kalbarri has a lot to recommend it, nice beaches, lots of protected water to play in and some fairly spectacular scenery with inland gorges and coastal cliffs. It sounds like the sort of place we should enjoy, so we thought we should come up and do just that. The trip so far has been really good. Yesterday was mostly taken up with the drive here, but today has been a very busy day of solid touristing. We spent a morning exploring town and an afternoon exploring gorges. Fair to say we are all pretty shattered now, just what you want before a race. The race tomorrow is a 16km paddle event that I thought I would enter as a good excuse for us to come up here. With this race I am actually really enjoying the differences between paddling and triathlon. I would never run around getting exhausted being a tourist before a triathlon, but before a paddle race it isn't such a big deal. This is partly because the paddle races are shorter (this one will be less than 2 hours) and partly because they are much more low key. I want to do well in the race tomorrow, but that goal simply isn't worth sacrificing the enjoyment of our weekend away for. The emphasis of this weekend is just a little bit different to what it would be for a triathlon, this weekend is a holiday with a race included, rather than the other way around. It has been kind of nice. With the race tomorrow the focus for me will be pacing, just as it should be with any long distance event. As I said above, the race is relaxed, but I would also like to do well and I think for me the key to achieving that will be pacing. While the event is only 2 hours, that is long enough to completely blow out your arms and shoulders if you go out too hard too early. The challenge for tomorrow will be going hard, but holding enough in reserve to be able to push to the line. This will be particularly important tomorrow as I think the last 5km will be extra tough with a slog into prevailing conditions. We shall see how tomorrow pans out, but it could be a tough day out. Fingers crossed for a bit of fun too.